Please read the following terms and conditions of use (the “Terms and Conditions of Use“) carefully before accessing the Emploiretraite.ca platform (the “Platform“) belonging to Retiredjob.ca (“Retiredjob.ca “). Visitors registered on the Platform (the “Users“), businesses and individuals (home help) who post advertisements on the site (the “Employers“) agree to all the Terms and Conditions of Use indicated below that govern the content and operation of the Platform, including Retiredjob.ca’s security policies and general conditions of sale. These Terms and Conditions of Use are legally binding on the User and Retiredjob.ca. The parties are entitled to invoke this agreement and to take all useful and necessary steps to enforce the Terms and Conditions of Use. Users and Employers accept and acknowledge that Retiredjob.caca reserves the right, at any time and without prior notice, to modify, change or update the Terms and Conditions of Use. Use of the Platform by the Users and the Employers after such modification constitutes consent of the Users and Employers to abide by the Terms and Conditions of Use thus modified and to be bound by them. We therefore strongly recommend that you review these conditions regularly. If a User or an Employer does not accept these Terms and Conditions of Use or, as the case may be, the Terms and Conditions of Use as amended from time to time, the User or Employer shall not use the Platform. Retiredjob.ca wishes to facilitate exchanges between the Employers and the Users. To do so, Users will receive, via the Platform, job offers published by Employers corresponding to their interests. Users who are interested in a published job offer must express their interest by clicking on the spot indicated on the Platform. The Employer that posted the job offer will receive the User’s résumé, but not personal details such as surname, last employer, email or phone number. The Employer must purchase a package with Retiredjob.ca in order to access the User’s contact information. Every package offered by Retiredjob.ca a is available on the Platform and is subject to change without notice. The Platform is the exclusive property of Retiredjob.ca. The content of the Platform is the property of those who provide the content, i.e. Retiredjob.ca and, where applicable, Users or Employers. Certain names, words, titles, expressions, logos, icons, graphics, drawings, domain names or other content contained on the Platform are registered or unregistered trademarks, service marks or trade names (for the purposes of these Terms and Conditions of Use, they are all referred to as “Trademarks”). The Trademarks are protected by Canadian and foreign trademark laws and are the exclusive property of Retiredjob.ca or, as the case may be, the Employers. All logos, drawings, graphics, trademarks (registered or not), symbols, text, expressions, words and all the general content of the Platform. All information provided on the Platform is the property of Retiredjob.ca and is protected by the applicable laws in this case. Unless otherwise indicated, the information may not be copied, displayed, distributed, downloaded, licensed, modified, published, reproduced, reused, sold, transmitted or used for derivative, public or commercial works without the express written permission of Retiredjob.ca. The information is protected under the copyright and trademark laws of Canada and the countries that host the Platform. You may use the information exclusively for your personal and non-commercial use, providing that you refer to the applicable copyright notices, notices and trademarks on copies. These Terms and Conditions of Use grant you limited authorization to consult, display on your computer, download and print text and images on the Platform, solely for non-commercial, personal, educational and job search purposes and the hiring of employees, provided that the content of the Platform is not modified. This authorization applies only to you; it may not be assigned, transferred or licensed to another person. Images and text on the Platform that are downloaded, copied, saved or printed are still subject to these Terms and Conditions of Use. You must ensure that all copyright and trademark notices remain thereon. The content of the Platform may be modified at any time without notice. For more information regarding the authorization to use, reproduce or republish any information on the Platform, please contact Julie Dufresne at info@emploiretraite.ca. Nothing contained herein shall be construed as conferring by implication, estoppel or otherwise any licence or right under any copyright or trademark. Unauthorized downloading, retransmission, copying or modification of trademarks or data contained on the Platform may be in violation of federal or any other trademark or copyright laws and may expose the User to prosecution. Retiredjob.ca does not warrant the accuracy, completeness, quality, relevance or content of the information presented on or obtained through the Platform. In particular, Retiredjob.ca does not guarantee to the Employers that the information regarding Users’ résumés or contact details obtained through the Platform is correct. Further, Retiredjob.ca does not guarantee to the Users that the job offers published by the Employers on the Platform are accurate. The information provided on the Platform is provided “as is”, without warranty or condition, express or implied, including but not limited to the implied conditions and warranties with respect to accuracy, commercial value or relevance to a particular purpose, except in jurisdictions that do not allow the exclusion of implied warranties. Retiredjob.ca shall not be liable for any direct, indirect, special, incidental or consequential damages, or any other damages whatsoever, including loss of anticipated income, profits or economic benefits arising from the use or inability to use the Platform, the information, documents and software contained therein or transmitted therewith, along with the contents thereof, even if Retiredjob.ca has been advised of the possibility of such damages or even if such damage can be reasonably foreseen. As a User, you will indemnify Retiredjob.caa and release it from all liability for any claims, losses or expenses (including legal fees) attributable to the use of the Platform and violation of these Terms and Conditions of Use. You may not use, export or re-export the information or copy or adapt the information in violation of any applicable laws or regulations, including current export laws and regulations of Canada. Retiredjob.ca is only a link between employers and candidates. Interviews and references are the responsibility of the Users and Retiredjob.ca disclaims all faults, crimes or actions committed by Users outside of the platform. If you have any questions regarding the processing of your personal information, or if you have any concerns in this regard, please contact Julie Dufresne at info@emploiretraite.ca. For more information about the protection of your personal information, please contact the Office of the Privacy Commissioner of Canada or Quebec’s access to information commission. Retiredjob.ca complies with the requirements of Canada’s Anti-Spam Legislation (“CASL”). To unsubscribe from our electronic mailing list, simply contact Julie Dufresne at info@emploiretraite.ca. The Platform and its content may only be used for the purposes set out in these Terms and Conditions of Use. You may not use the Platform for other purposes or attempt to do so. You may not misuse the Platform in any way whatsoever. Further, you may not modify the Platform or its content and may not prevent access to the Platform or interfere with its operation or attempt to do so. attempt to obtain unauthorized access to the Platform or to certain portions thereof to which access is limited. Further, Users agree that they alone are responsible for all actions and communications undertaken or transmitted to or on their behalfand undertake to comply with all applicable laws regarding their use or activities on the Platform. 5. contain prohibited words that the User refuses to delete. 8. that does not comply with the laws and regulations in force in Quebec. Use of the Platform that is in violation of the Terms and Conditions of Use may result in the User’s account being closed. Retiredjob.ca will inform the User in question of the closure of the account. Users of the Platform are all responsible for the veracity, accuracy and reliability of the information contained in their applications and their résumé. Further, User accounts that remain inactive for more than two years will no longer be valid. All job offers must be published in French. They may also be published in another language. Applications from individuals applying for published job offers may be in a language other than French. Retiredjob.ca reserves the right to ask employment agencies and other labour market intermediaries for the names of the employers of behalf of which they are recruiting in the case of a particular job offer. The following conditions apply when you access a social media page, account, site, network or any application contained therein that has been designed and managed by Retiredjob.ca (“Social Media”). contains any information that Emploiretraite.cadeems contrary to the Terms and Conditions of Use of the Platform and its general business policy. Any information, message, link or material that we consider to fall into any of the above categories will be removed immediately and without liability to Retiredjob.ca. Moreover, Retiredjob.ca does not assume responsibility for filtering messages or publications on Social Media. Retiredjob.ca disclaims any liability for entities that own or operate Social Media websites, including any direct or indirect loss or damage arising out of any action or decision made by you or another person relating to the use of Social Media websites. By using a link, you may leave the Platform to access the sites and content of other providers (the “External Links“). Retiredjob.ca makes links to foreign websites available on the Platform, in addition to its own content, solely for user friendliness and as information for the User. Retiredjob.ca has no control over the content of these foreign websites and assumes no responsibility for their accuracy, completeness, authenticity, timeliness or adequacy for a specific purpose. All liability of Retiredjob.ca is excluded, in particular regarding direct or indirect damages or consequences associated with the use of the content of these foreign websites. Retiredjob.ca has no influence over the content of the sites to which links relate and disclaims any responsibility for its rigorous selection or the content of the External Links, in particular those that have been modified after the establishment of the link. Retiredjob.ca does not require the transmission of information, does not select the recipients of the information transmitted nor the information itself, and does not modify it. Further, no short-term automatic intermediate backup of these External Links is performed by Retiredjob.ca pursuant to the method of creating and viewing current links. Consequently, responsibility for the content of the websites accessible via External Links rests exclusively with their operators. Further, Retiredjob.ca can in no way guarantee the absence of any infringement of copyright or trademark or the rights of third parties on these websites or their content, nor the absence of viruses or other harmful components on these websites or their content. No guarantee is given as to the authenticity of documents available on the Internet. The Platform and its content are managed by Retiredjob.ca from its offices located in Canada. The Platform and its content, these Terms and Conditions of Use and your use of the Platform are all governed by the applicable laws of Quebec and Canada, without giving effect to any conflict of laws. You agree that all issues and disputes relating to the Platform and your use of the Platform shall be exclusively settled by the courts of the Province of Quebec. This agreement (the “Agreement“) sets out the terms and conditions that apply to the purchase of products and/or services (the “Products“) from Retiredjob.ca. Retiredjob.ca reserves the right to modify these terms and conditions. The terms (you) and (your) relate to the person who purchases Products through the Retiredjob.ca platform (the “Platform“). By using this Platform to purchase Products online, you must accept these terms and conditions of sale and agree to be bound by them. You declare that you are of the age required to enter into this Agreement and be bound by its provisions. This Agreement contains important information about your rights and obligations and sets out the restrictions and exclusions to which you may be subject. For more information about your rights and obligations, we suggest that you read the laws and regulations applicable to this field. You hereby authorize the exchange of documents and information between you and Retiredjob.ca via the Internet or by email. You agree that this Agreement (and any applicable Order Confirmation accepted by Retiredjob.ca as set out in section 3) is equivalent to an original written Agreement between you and Retiredjob.ca. You also agree that all agreements, notices, information and other communications that we send to you electronically comply with the legal requirements governing such communications. Before submitting an order for Products via this website, you must go through a pre-order confirmation (the “Order Confirmation“), which includes, among other things, the Product(s) to be ordered, the purchase price, shipping costs and applicable taxes. When you submit your order, the order thus submitted constitutes an acceptance of the offer made by Emploiretraite.ca for the purchase of the Products described in the Order Confirmation, according to the prices, other expenses and other terms and conditions indicated in the Order Confirmation. An order does not bind Retiredjob.ca until it is paid in full. The acceptance of your order by Emploiretraite.ca is evidenced by an email sent by Retiredjob.ca. Retiredjob.ca reserves the right to limit quantities, refuse or cancel an order, even after the order is submitted, even if it has been confirmed and charged to your credit card. If your order is cancelled after processing your payment, you will be reimbursed in full by Retiredjob.ca according to the applicable laws, regulations and this Agreement. The Retiredjob.ca Platform contains a section where you can view the prices of the various Retiredjob.ca Products and packages to purchase the Retiredjob.ca Products. All prices are, unless otherwise stated, in Canadian dollars. Although Retiredjob.ca strives to provide an accurate description of its prices, there is still a risk of error. Retiredjob.caa reserves the right to correct its prices and all erroneous information, modify the prices of the Products or otherwise modify this Agreement, at any time, in compliance with the applicable legal and regulatory provisions. If a price is incorrect, Retiredjob.ca reserves the right to cancel your order and the invoiced charges and will contact you to suggest a new order according to the adjusted price or to refund you according to the conditions of this Agreement and the applicable legal and regulatory provisions. The terms of payment are established by Retiredjob.ca at its discretion. Payment will be made by credit card, unless another pre-determined payment method has been accepted by Retiredjob.ca. Credit card payments must be approved by the financial institution that issued the credit card. You declare that you are the legally authorized holder of the credit card that will be used to pay for the order. Payment for Retiredjob.ca Products is made using the PayPal payment service or other third-party providers at the discretion of Retiredjob.ca. By paying fees for Retiredjob.ca Products using Stripe or other third-party providers selected by Retiredjob.ca, you agree to the terms and conditions of use of Stripe services or such third party providers. The availability of certain Products may be limited. Retiredjob.ca may modify or withdraw Products at any time without notice. If an ordered Product is not available or no longer available, Retiredjob.ca will notify you by email and your order will automatically be cancelled. Unless otherwise indicated, prices do not include applicable federal and provincial sales taxes. Taxes will be presented separately for each order in the Order Confirmation, as applicable. You must pay all sales taxes, user fees, goods and services taxes, harmonized sales taxes and other taxes and fees related to the order. Retiredjob.ca will not refund any of the Products purchased on the Platform. Please note that it is possible that a User may pay to contact a candidate who is no longer interested in the job. In this case, no refund will be made. The same conditions apply if no candidate applies for the published offer. This website and its server are located in the province of Quebec, Canada. This Agreement shall be interpreted in accordance with the laws of the Province of Quebec and the laws of Canada applicable therein. This Agreement shall be considered as a distance selling contract governed by the laws of the Province of Quebec, without regard to principles of conflict of laws. The application of the United Nations Convention on Contracts for the International Sale of Goods is expressly excluded as well as any other international sales agreements. Headings are included in this Agreement for the sole purpose of facilitating their consultation and understanding and have no bearing on the interpretation of this Agreement. 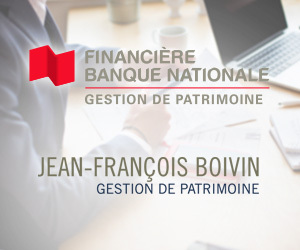 The general interpretation of this Agreement is subject to the provisions of the Civil Code of Québec. You may not assign your rights or obligations under this Agreement without the express written consent of Retiredjob.ca. The Parties are bound by this Agreement and acknowledge that they have taken note of their respective rights and obligations. This Agreement shall be interpreted in accordance with the rules of the Civil Code of Québec. The clauses are interpreted in reference to one another, giving to each the meaning which results from the whole of the Agreement. This Agreement, the other Policies, terms and conditions incorporated herein by reference or referred to herein, constitute the entire Agreement between You and Retiredjob.ca with respect to the general conditions of sale, use of the website and transactions carried out on or from this site. They supersede all prior agreements (electronic, oral or written) relating to the subject matter hereof and may only be amended in writing in accordance with this Agreement.